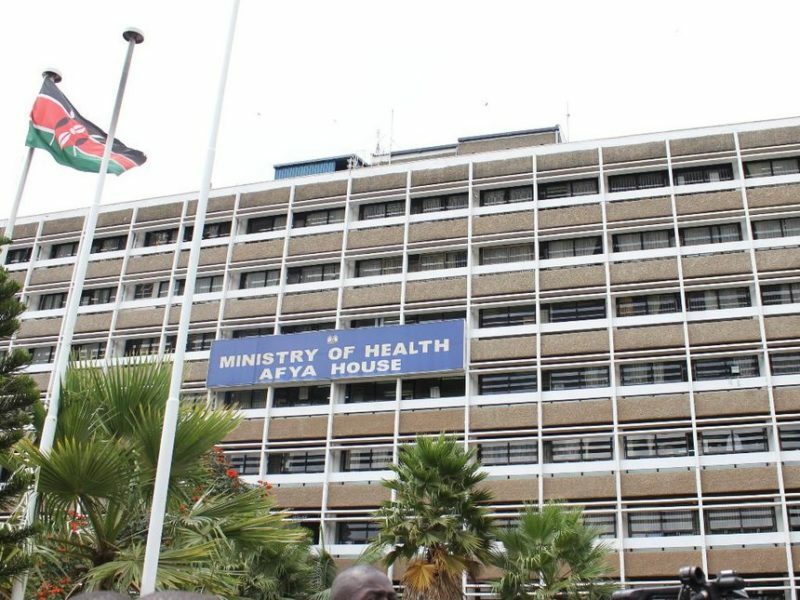 Auditor-General Edward Ouko has unearthed yet another scandal in the Ministry of Health worth Ksh2.7 billion. According to a report Ouko tabled in parliament, the ministry cannot account for the money spent on the controversial purchase of portable container clinics, free maternity, family planning and managed equipment service in the 2015/16 financial year. “Out of the 100 portable clinic containers contracted to be supplied by M/s Estama Investment Limited, only 80 LPOs were availed for audit review,” Mr Ouko says in the report. He adds that documents relating to the procurement process and contracts signed with suppliers of food rations/supplements amounting to Sh512,084,944 were missing. Mr Ouko says he could not establish how the Ksh1 billion set aside to procure portable clinics or containers, Sh879,088,560 meant for Free Maternity Fund and Sh800 million for family planning and medical equipment services were spent. The audit found that the ministry violated numerous provisions of the Public Procurement and Disposal Act, 2005 and Public Procurement Regulations 2006 in the purchase of 100 portable container clinics at a cost of Ksh1 billion. According to a local daily, a leaked internal audit report indicated that the ministry had lost billions of shillings in a mega corruption scandal involving diversion of funds, gross inflation of prices during procurement, double payment for goods, and manipulation of the Integrated Financial Management System (IFMIS). Top on the list of fraudulent transactions identified in the internal audit report was the diversion of Sh889 million meant to be disbursed to county governments to support the free maternity care programme and its use in the purchase of phantom mobile medical clinics for urban slums. It found that the ministry utilised Ksh879 million free maternity funds and reallocated Sh800 million meant for family planning and medical equipment services without approvals from the Treasury as required by law. “The special audit team encountered challenges in an effort to execute and report on the audit in time. These include missing documentation to support the request for approval of the supplementary estimates amounting to Sh2,552,087,201, therefore justification of the supplementary estimates could not be reviewed,” the report says. The special audit team also conducted an assessment of the resources at risk and a sample of payments amounting to Sh13,700,446,912 out of the ministry’s development exchequer issues of Sh17,019,501,618 were identified for review.